Very few places in India are at once so traveler-friendly and yet so enchanting and hassle-free as Leh. 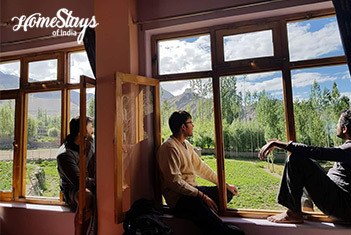 Dotted with monasteries and crumbling mudbrick houses, the old town is dominated by Leh palace and fort on top and the bustling bazaar, souvenir shops and restaurants beneath. Situated at 11,562 ft with the only airport in Ladakh region, Leh is the hub of all travel activities throughout Ladakh. 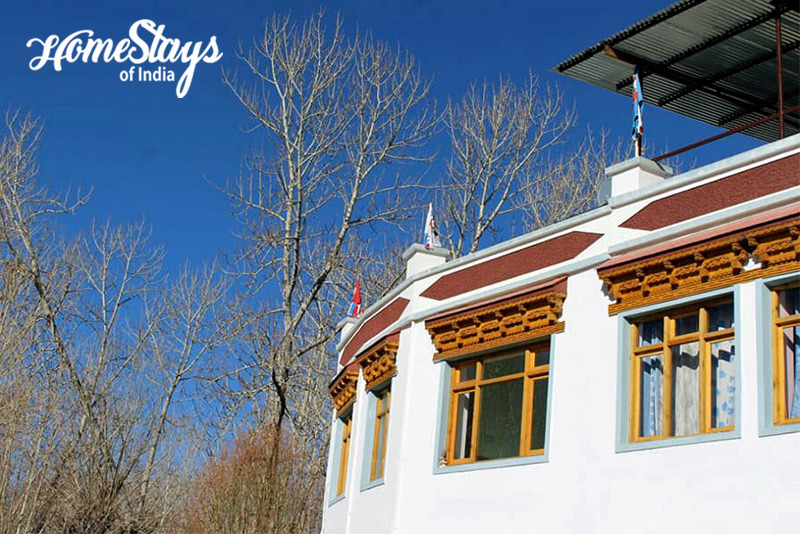 The beautiful home is located near Changspa Bridge away from the chaos of Leh main market and in a solitude place near to Shanti Stupa. There are total 8 rooms with different bedding systems. 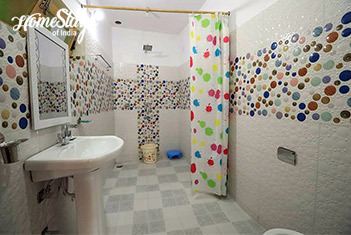 The 4 bedded Family Room and 4 double rooms are with attached toilet. 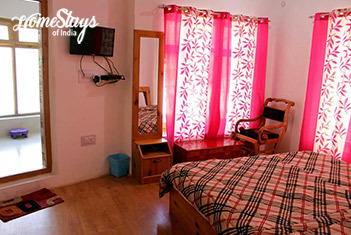 There are 2 more double room and a single room with common toilet. 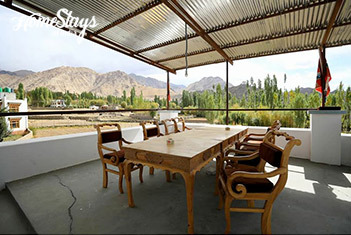 It also has a spacious traditional Ladakhi dining area. One can walk to Leh market or to Shanti Stupa just in about 10 minutes. You will be welcomed by Singay Tsutim, an ex service man, his wife Dolma and their lovely daughter. Dolma is the in-charge of kitchen. 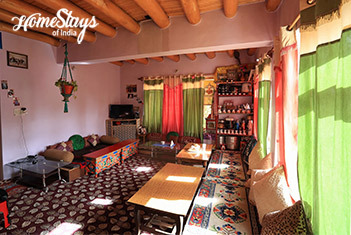 She serves home cooked North Indian food with a touch of Ladakhi cuisines. Non-vegetarian food can also be served on request.